Spin The Wheel At This Borivali Cafe & Your Meal Could Be Totally Free! 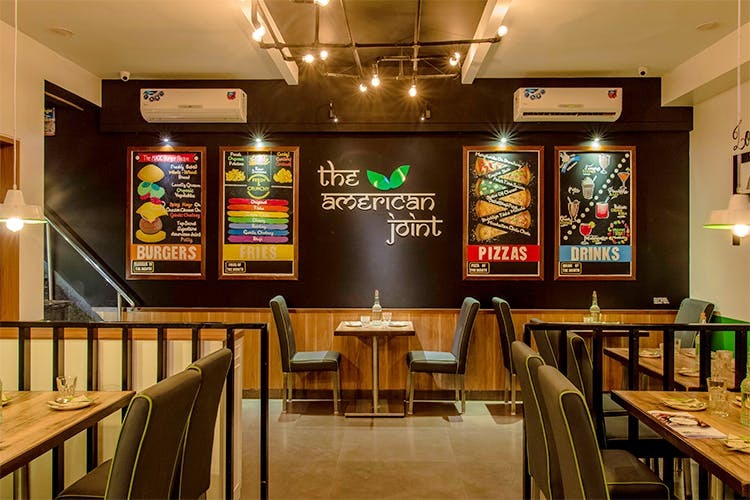 The American Joint – an organic cafe that opened up its second joint in Borivali West earlier is making an offer you can’t refuse. The cafe will set up a game of ‘Spin The Wheel’ at the entry and you’ll get to avail discounts starting at 10%, going up to 100%, depending on where you land on the wheel. We’re totally up for trying our luck, are you? The menu is organic and they source local produce to make their dishes. They have a range of salads, club sandwiches and burgers and a lot more on the menu. The starters and soups are uniformly priced at INR 199, salads are priced at INR 249. Their watermelon with feta salad has our vote. Burgers and sandwiches come at INR 249 and if you’re looking for a heavy meal, they have mains at INR 329. They have shakes to sip on, all priced at INR 219. They are made from cow’s milk and you can chill with a cookies and cream Oreo shake or how about a paan shake? Those of you squirming at the thought of a paan shake, get the Nutella shake and be happy. The deal for the launch week seems interesting and we’d totally be up for some random choice of food, decided by a piece of cardboard. Also, organic food tastes a lot better. The offer is valid till October 31.